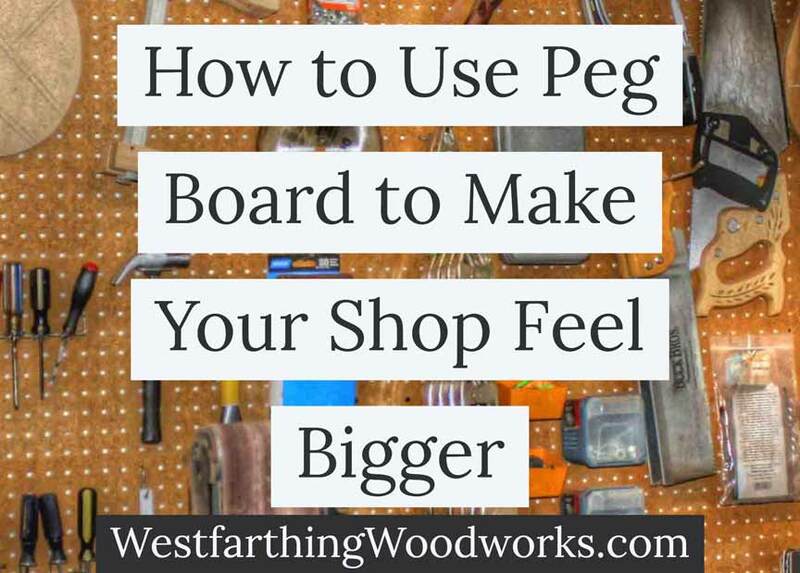 This is how to use peg board to make your shop feel bigger. Most of us have smaller shops, and they are in garages or basements. If you want to gain floor space without knocking down any walls, adding peg board will do just that. 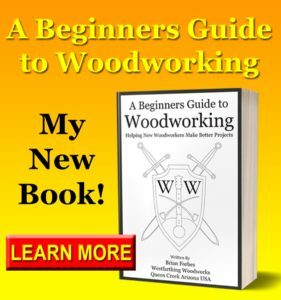 I mentioned using peg board in 29 Ways to Maximize Your Woodworking Shop Layout, and it’s an incredibly effective means of adding floor space. 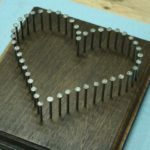 There are several more ways that you can read about later after I show you how peg board makes such a big difference. In a small or a medium size shop, you need to think about every inch of space that you have. Anything that you can do to make the space feel bigger is a good move. 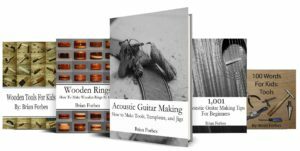 A shop needs to be inviting, and a small, cramped, and cluttered space is the exact opposite. This post will show you how you can spend a couple dollars on some peg board sheets, and make your small shop gain a lot of room. 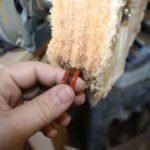 If you have never used peg board before, you will love it when you finally get some in your shop. Peg board comes in large sheets from home improvement stores, and it also comes in smaller pieces that you can find painted sometimes. Your best bang for the buck are the full sheets, because you are not paying for the fact that they have been cut and painted. Most of the time, these sheets are thin and flexible. Tie them down well, and be careful not to break them on the trip home. Depending on your shop, you may need one or two of these. It really depends on the number of tools that you have, and how many are going on the wall. While you are in the store, get some 1×1 for behind the peg board, because you need to mount it slightly off the wall for the pegs to be able to poke through the holes. Finally, get some pegs, and any of the peg board accessories like bins or tool holders that you think you will use. Adding peg board to your shop walls is a matter of making a frame, attaching the peg board to that frame, and then attaching the whole thing to the wall. The frame is easy, and you can think of it like a wall frame in a house. Build a rectangle from the 1×1 material that is the same size as the peg board sheet. Then, add in a couple vertical pieces around the thirds for the middle support. If you measure the wall first, place these middle boards over studs, which will help with hanging the unit later. Attach the peg board with screws and glue to the frame, and then you are ready to hang the entire unit on the wall. Make sure to cover a few stud locations to get a strong hold, and fire some longer screws through the unit to secure it to the wall. A couple tips on hanging your peg board will help you make this an easy experience. The peg board does need to be hung off the wall on a frame. There is no getting around that. If you are using thin material for the frame, just make sure that the pegs have room to pass through and lock in place. Also, make sure to hit at least two studs when hanging the board. The piece seems light now, but once you add all of your tools, it will weigh a lot. The last thing you want to have happen is for all of your tools to come off the wall and hit the floor. Location is another consideration, and for this aspect, it’s about height. Don’t hang your peg board so high that you can’t reach the top. The whole idea is to store tools and have them be accessible. If you make the board too tall, you will not be able to reach the higher tools. Finally, buy some of the cooler peg board gadgets like bins, tool holders, and anything else that you would like to use. These make the peg board more versatile, and allow it to hold more tools. Some of your tools will not hang well on pegs, so you will actually need a few of these items. The big reason that using peg board helps you conserve space in your small shop is that it takes your tools off the ground and puts them on the walls. Any time you can take something off the floor, you are increasing the floor space because of the missing items. The walls in your shop are an overlooked area for storage in most cases. If you have never used peg board before, you will be surprised at how much stuff you can actually get on them. 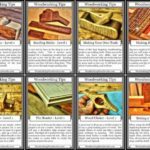 There are creative ways to get nearly every hand tool you own on the board, and they are all right out in the open. This is another benefit to having peg board. When you have all of your tools right out in the open, you can see them better, and pick tools faster. You also know when they are missing, and where to return them at the end of a long day in the shop. Your homework is to at least take a look at using peg board in your shop. If you can, and you don’t mind a small afternoon project, you will be very happy with the results. Find a place where you can hang at least a half sheet, and get some of your tools out in the open. A smaller sheet is perfect if you have a wall behind your bench. Make sure that you can reach the entire board, and mount it. If this is not an option, you surely have a wall somewhere that can benefit from being covered with a peg board. 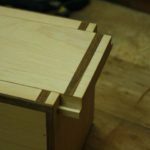 After that, mount your tools, and spend some time on this part. Group tools together that are commonly used together. Fill the board from the top down if you want it to be flush at the top with tools, or bottom up if the bottom needs to be flush. Peg board is a great way to make your small shop feel bigger. It will not move the walls for you, but it will remove things from the floor. Any time you remove something from the ground, you create a more open area, and this means a bigger feel, and a less cluttered shop. Pick up a sheet or two of peg board from a local home improvement store. 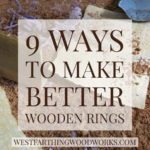 Buy some pegs and accessories, and some thin strips of wood to put behind it as a frame. Build a nice frame, and hang the entire unit, screwing deeply into studs for safety. Fill your board, and you will love having peg board in your shop. All of your tools will be in one place, easily visible, and not taking up floor space. You get more from your walls, and your shop will feel more inviting the next time you go out and make something.